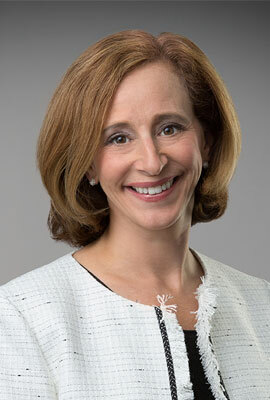 Stephanie Richard was named chief audit executive of Ally Financial Inc. in 2018. In this role, she is responsible for the organization’s internal audit function, as well as administrative oversight for Ally’s loan review function. Her specific duties include: interacting with Ally senior leadership, regulators, external auditors and other stakeholders; assessing key strategic, financial, operational and compliance risks; and designing and executing an audit plan aimed at evaluating the effectiveness of risk management, internal control and governance activities across the organization. Prior to her current role, Richard served as the Deputy Chief Risk Officer for Ally Financial, where she was responsible for leading various key enterprise risk management programs, including designing the company’s risk appetite framework. Richard joined Ally in 1997 and has served in a variety of roles with increasing levels of responsibility within the finance, treasury and risk management functions. Since Ally became a bank holding company in 2008, she has been played an integral part in many of the company’s transformation initiatives over the last several years. Prior to joining Ally, Richard worked in audit services for Deloitte and Touche where she gained extensive accounting and auditing experience and earned her CPA license. Richard is a member of Women Executives of Charlotte and a member of the Board of Directors for Women Executives for Community Service (WECS), where she also serves as a mentor for female college students in the WINGS scholarship program. She holds a bachelor’s degree in accounting from Michigan State University and a master’s in business administration from Wayne State University.